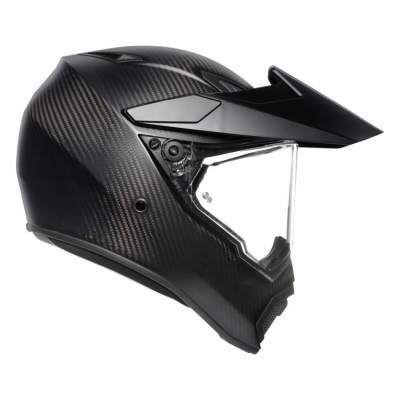 But one of the cool things about AX helmets is their ability to morph from road helmets into full on dirt helmets and back again with just a tiny bit of fiddling to remove the peak, visor and shove on some goggles. 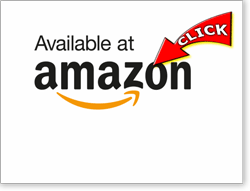 And the new AX9 is no different. It really doesn’t take long to convert, so you can ride to your green lane, then switch to adventure mode and get wet and dirty in no time. Only, the last model was a smidge of a compromise. 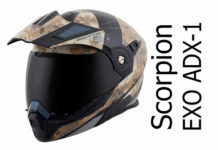 The visor system was slightly below-par (it could scratch through a design flaw and the bottom could get in your line of sight) and there wasn’t anywhere to fit your comms unit – all of which was enough to put quite a few buyers off. 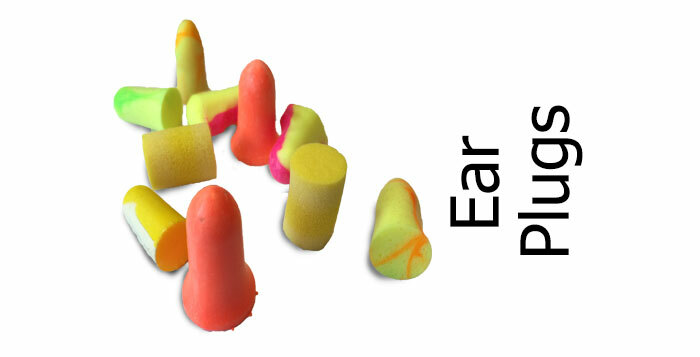 Namely, a composite of carbon, aramid (i.e. Kevlar) and fibreglass, that’s moulded into three different shell sizes to ensure all fitment sizes are optimally formed. 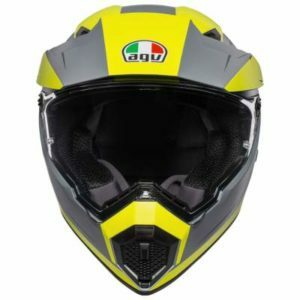 Something else that’s all good is AGV’s reputation for building high quality, safe helmets. 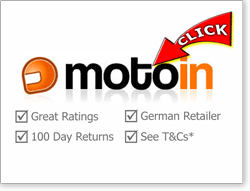 At the time of writing, they’re our 3rd safest helmet brand based on their SHARP test scores; and their last 8 tested helmets have scored a staggering 4 or 5 (maximum) stars out of 5! 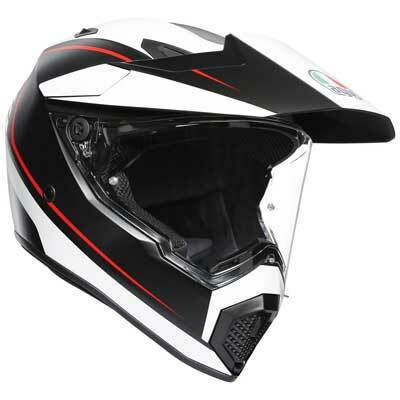 Of course, all helmets on sale in Europe have to be ECE certified and the AX-9 is no exception (in the US it’s DOT certified) and that should give you some confidence in the protection offered by the AX9 too as it’s a pretty stringent standard for any helmet to pass. 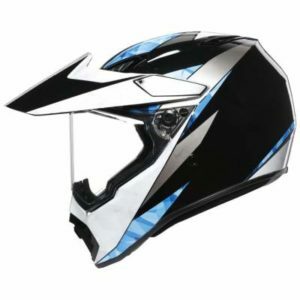 They claim a super wide visor to help give great peripheral vision – and say it’s taller than most to to help with forward vision if you’re tucked in a bit. It’s also a Pinlock ready visor and a Pinlock anti-fog insert is included in the box if you’re buying in Europe too (sorry US but most helmet distributors over there don’t think you need one!). All meaning you’ve no need to ride round with a foggy visor if you buy an AX-9. Looking at the chin vent alone, we can see that it’s mega configurable, allowing you to adjust it several ways to maximise ventilation if there’s not enough. 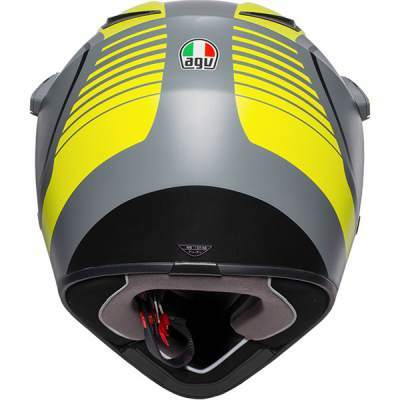 AGV’s routed the chin ventilation so it diverts up behind the visor to help with demisting as well as routing onto the face to help with cooling. And of course, if you ever find things get too hot despite these loads of venting options, you can always pull off the visor and shove on some goggles. That should cool things down even more! The visor is Pinlock ready and comes with a Pinlock anti-fog insert in the box (hurrah) except it doesn’t if you’re buying in the US (Boo). It’s not a quick change visor either, I guess because most quick release systems need you to fully open the visor first before pulling it off; and if you do that on the AX9 there’s a massive sun peak in the way, so it just won’t work. But it is a wide and tall visor for good all round vision. 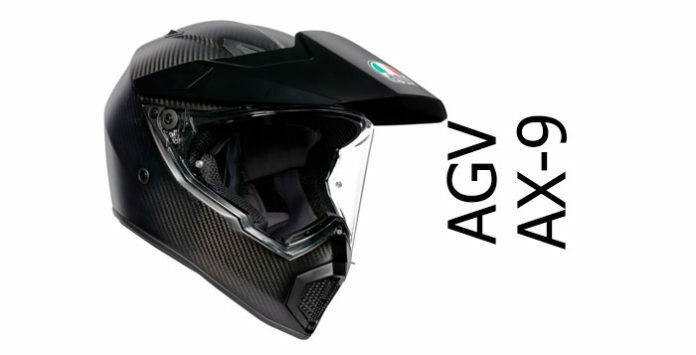 AGV claims 190º horizontal and 110° vertical which sounds decent to me. Obviously, the AX9 can be configured several different ways so you can do some serious off roading in it should the mood take you. 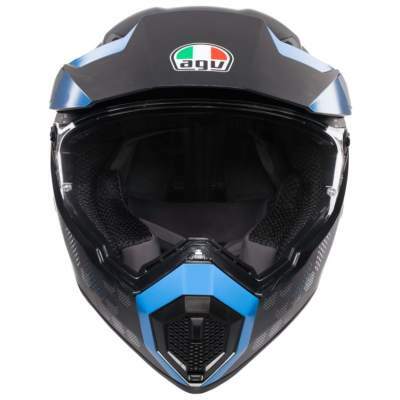 AGV expects most riders to use their AX9s predominantly on the road, but if you do decide to whip off the visor and stick some goggles in, just don’t expect it to take as many types of goggles as a true motocross lid because that visor hole’s a bit too small for some of the larger goggles out there. Otherwise, the visor system on the AX9 looks like it’s been well thought out. Let’s hope it doesn’t have any of the teething problems owners had with the old AX8 visors. 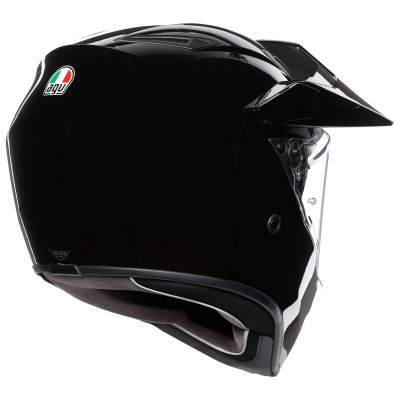 AGV reckons the new peak has better aerodynamic performance and it’s a bit more polished to hide bolts and screws. It’s also adjustable so you can tailor the angle to maximise protection for your preferred riding position. Finally, you shouldn’t have a problem with weight on the AX-9 either. The composite fibre version weighs around 1.55Kg (3.4lbs) and the full carbon a reasonably light weight 1.45Kg (3.2lbs). Here’s a good 10m look around the AX-9 (and comparison to the old AX-8) from Revzilla in the US. 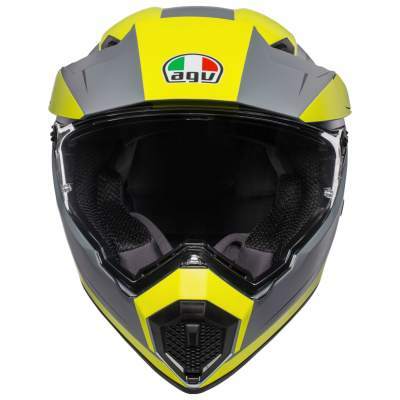 Which should mean the AX-9 is a superb all rounder helmet, capable of giving all day comfort on the road as well as decent performance when you take it onto a trail or green lane. 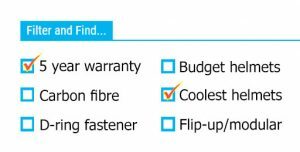 We’d expect protection to be excellent (though we won’t really know until it’s been independently safety tested by SHARP or Snell). But with it’s versatility, wide/tall Pinlock visor, excellent build quality and comfort, the AGV AX-9 looks to be a corker of a helmet and well worth considering (along with our recommended alternatives below) if you’re looking to buy a road or adventure bike helmet. Arai’s Tour X4 is another premium adventure helmet that’s multi-configurable for on or off road riding. 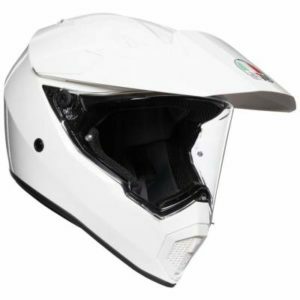 It’s a fibreglass shelled, Snell certified (in the US) helmet with excellent ventilation and comfort, EQRS and a fab 5 year warranty. 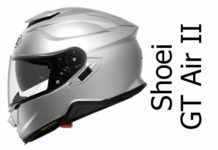 Shoei’s Hornet ADV is another Snell tested/approved adventure helmet. 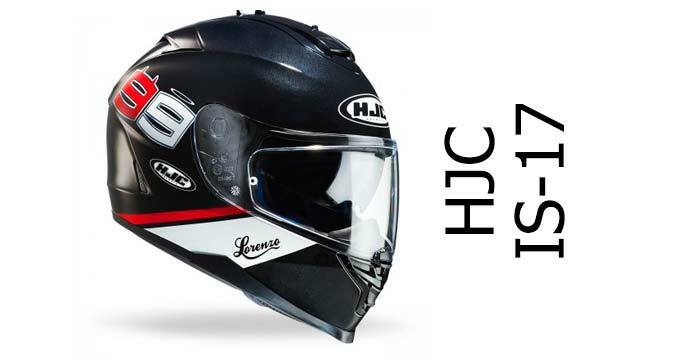 It’s a quality fibreglass helmet, also with a 5 year warranty, and comes with an optically correct visor. 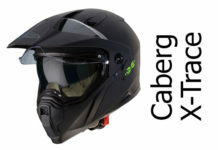 If you’re looking for something cheaper, the Caberg Tourmax is a low cost modular dual sport helmet that’s SHARP 5 star rated and costs about half of the others. 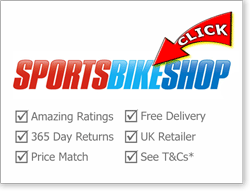 Next articleSHARP 5 star sportsbike helmet on a budget anyone?